Using an environmentally safe technology, disposable Commode Mats are coated with an antimicrobial treatment that kills odor causing bacteria rather than just masking the air with a temporary fragrance. Floor surfaces underneath commodes are protected against extremely aggressive uric acids that can damage or permanently stain a floor. 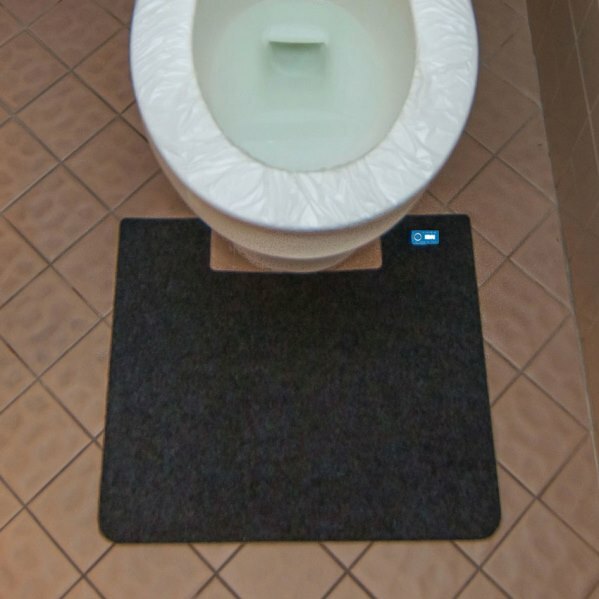 Commode Mats are ADA Compliant – each mat is prepared with a slip resistant backing and reinforcing tape to reduce dangerous slip and fall liabilities. 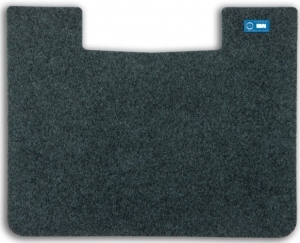 Commode Mats reduce the need for costly maintenance staff to keep your restroom clean and odor-free. Unique Time in Service Monitor embedded in the Commode Mat to indicate how long the mat has been in service and when it is time to replace it. Commode mats can easily be disposed of using standard waste management methods and costs pennies a day to maintain. 12 Commode Mats per case. Bulk packaging available upon request. 19 1/4" x 16 3/4"